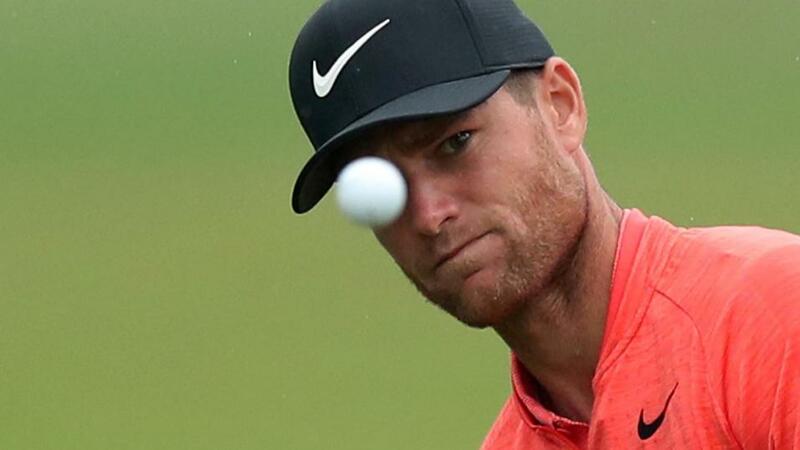 Can Lucas Bjerregaard come good again? "JB Hansen has hit top gear on the Challenge Tour this year and is in danger of lapping the field on the Road to Ras Al Khaimah rankings. The Dane gets a rare start on the big boys' tour this week and previous outings in 2018 suggest he can perform well in this company." After his breakthrough win at May's Sicilian Open in Italy, it was hardly a surprise that Lagergren took a step back and missed three straight cuts. But since bottoming out with 79-80 at Le Golf National, he's shot nine rounds out of 12 in the 60s, taking T12 at the Irish Open, T23 in the Scottish Open and T34 at his home Nordea Masters. The Swede posted a top five in the 2016 Made In Denmark, opening with a stunning 62, and this hop over the border offers another potentially lucrative week. We're guessing a little about this week's course but Lagergren has ranked in the top 20 for GIR in his last three starts, is 34th in Par 5 scoring and 14th in Sand Saves so he looks to have the right tools to attack this short par 72 which has plenty of bunkers. I suspect this will be won by one of the Ryder Cup chasing stars at the head of the market but, in search of value, preference is for a rookie who will belong in that category before too long. Marcus Kinhult has earned many admirers since stepping up from the Challenge Tour, particularly against elite fields around championship courses. He hasn't achieved much since failing to convert a lead at the Open de France but closed with 67 on Sunday to confirm wellbeing, and one might think this Scandinavian fortnight represented this 22 year-old Swede's best chance of a breakthrough win. Low scores will be the order of the day again and, among this field, only Olesen and Fitzpatrick have a higher birdie average over the past 12 months. We don't know much about this week's venue but we do know that it's tree-lined so anyone that's shown a liking for those sorts of venues in the past may be of interest. Denmark's has a set of admirable form figures at Fanling, the tree-lined home of the Hong Kong Open, reading 24-5-2, and he finished third at Wentworth in May. He's a mercurial character that goes long periods without showing anything but when he sparks to life he usually holds his form for a few weeks. He finished ninth out of the blue at the Czech Masters last week and the last time he finished ninth (at the European Open in Switzerland almost a year ago, at another tree-lined venue) he won the following week in Portugal. He looks an interesting contender at the industry-best odds of 40/1. JB Hansen has hit top gear on the Challenge Tour this year and is in danger of lapping the field on the Road to Ras Al Khaimah rankings. The Dane gets a rare start on the big boys' tour this week and previous outings in 2018 suggest he can perform well in this company. Four appearances in European tour events have yielded a bet finish of T6 in the Joburg Open, two ties for 12th in the Belgian Knockout and Shot Clock Masters and a top 20 in the Australian PGA Championship. That's a pretty high level of golf against most of this field and two wins and three runner-up finishes on the Challenge Tour should ensure a confident Hansen in his home event. All told, the 66/1 is a fair price and I'm happy to support the Dane this week. Having made a slow start to last week's Czech Masters, Matt Wallace raced into contention on Friday, getting to -10 with six holes of his second round to play. He didn't quite push on from there but like Steve Rawlings, I still thought he was the man to beat at halfway. But from the limited viewing we got of Wallace on Saturday it looked like the Englishman couldn't hole a putt and the frustration got the better of him. That's quite the norm in golf and easy to forgive, and I don't see why this recent three-time European Tour winner should be going off at 33/1 this week when he was 25s last week in a similar strength field. He's still extremely determined to catch the eye or European Ryder Cup captain Thomas Bjorn - only an impressive victory is likely do that - and this shortish course that is likely to be another birdie-fest could very possibly be to Wallace's liking.